Business are investing in Mobile Technology! Want to know why? Smart phones are getting cheaper day by day and so is mobile data. This affordability has led to high level of mobile usage. You will rarely find anybody around not having a smart phone or not using it. This is the reason why mobile apps are on the go and businesses are investing in it! How important is it to develop best-in-class mobile apps for businesses? Isn’t mobile the first thing you see in the morning? Don’t you miss your phone when you are in a place where there is no network? Aren’t you worried when you don’t receive a mail or a message from anyone? The world is relying on mobile and mobile apps! We are in a technology era where mobile is a person’s best friend! Don’t you find apps for each of the things you want to do? All thanks for the affordable smart phones and data. This is the reason why building world-class mobile apps is very important and all companies around trying to be ahead in the race. Why do you need Innovation in your mobile apps? You will find 1000s of mobile apps for a single purpose. E.g. if you are a retail company and your customer want to buy a dress, he will find 1000s of retail apps. How will he decide who to buy from? He will now search for the best service provider with user friendly apps, personalized responses, customer-friendly terms & conditions and fastest delivery. To meet competition, you must be different from others. You need innovation. You need to make apps such that users recommend it to other as well as keep visiting and buying from it again. In the current tech era, you need to keep innovating on technology the most. You might find it costly and difficult to understand in the first go, but are you sure about it? How can you make your mobile apps smart with AI? AI is changing things around the world. Your customers can now talk to a bot and expect responses like a human. They can speak their mind out in the language they want to. They can expect instant responses and get personalized offers. They can find, decide, buy at a pace that they would never have thought of! Doesn’t it sound interesting? Don’t you think your customers would love it? While you could also be differentiated from the rest with AI. AI & Mobile App Development is the future! AI is Artificial Intelligence. A chat client programmed in such a way that it can answer queries in an intelligent manner is called an AI-powered Chatbot! These chatbots can do a lot for you. The chatbot must be trained in such a way that they provide the most relevant responses. These chatbots can also be functional as well as transactional. Getting AI-powered Chatbots is not easy. 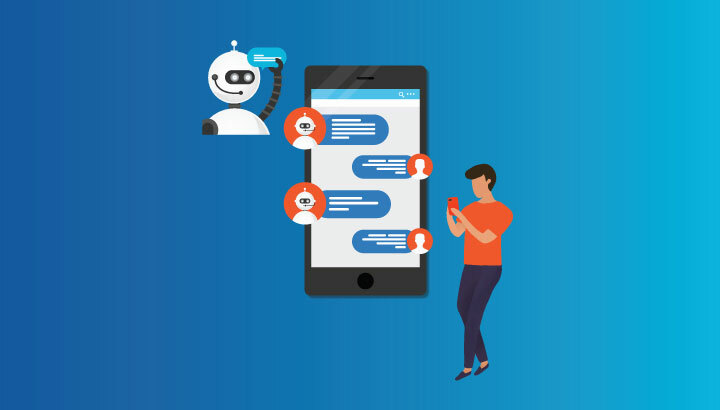 If you think about the technical aspects of Chatbot, it needs to be secure and easy to link to all your enterprise backend systems so that if can fetch correct data. It should also understand what the user wants. And the most important of all, it should not take too long to go live and should not cost too high! NLP is natural language processing. Chatbot should have the best NLP that understands a user’s natural language. 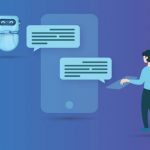 The main purpose of a Chatbot to talk to the customer in humanlike language and solve all queries. Did you know Messaging apps are the most convenient apps and used the most these days? Don’t you open WhatsApp every day and communicate most of the time through it instead of phone calls that were done earlier? Business can now embed chatbots on their social media channels, mobile and web. You could just talk to the chatbot and get work done. Doesn’t it sound easy? It is said that voice is going to be the future of all technology. Chatbots now should be voice enabled where a user could to speak to the bot to get things done. Google Home, Alexa etc. are the voice devices used these days and chatbots should also have the capabilities to be linked to these devices! So, if you what to make a payment to your friend or want to check your account balance you must just speak to the bot, answer questions the bot asks, and you are done! Has life been so easy? Chatbots can work for each one of us. Can you image the time & cost it saves? You don’t need agents for such repetitive tasks. Bots can you do 80% of the agents work. Human Agents can work on intelligent job which the chatbots can’t! AI to take your Apps to a new level with IBM & Streebo! A Forrester Report names IBM a leader in conversation computing platforms wave. IBM Watson is one of the best NLPs in the market. Do you think this IBM technology would be too complicate to be understood by a layman? That’s where Streebo comes into place. Streebo, an IBM trusted partner, has a technology named Streebo Digital Experience Accelerator (DXA) which is powered by IBM Technology. It is a no code low code tool which can build omni-channel apps in half the development time! It has a single code base for all platforms and can be integrated to any backend system with just a point and click. It’s chatbot builder is one of its kind technologies which is highly secure. These chatbots can be embedded to mobile apps easily and are also voice enabled. And this technology can be easily understood by Line of Business. 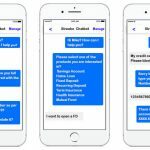 Want to know more about Streebo chatbots? Are You Ready to Streamline HR Processes with an AI-powered Virtual Assistant?